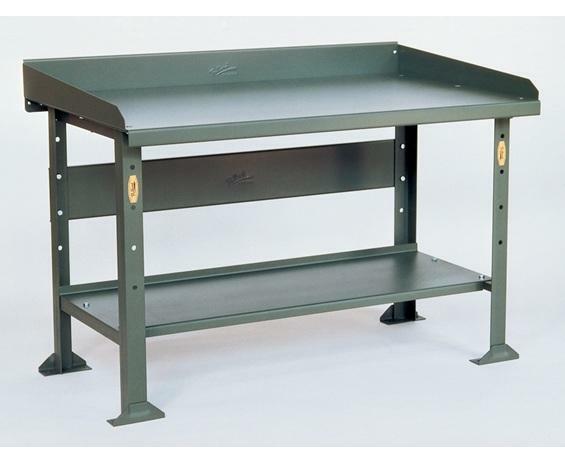 Open Leg Work Bench | Latta Equipment Company, Inc.
All welded heavy duty angle iron bench legs make up support frame. Select Bench Leg Height of 30", 32" or 35". Choose from formed 12 ga. steel bench top or laminated 1-3/4" maple top. Tops are predrilled and countersunk for ease of assembly. Shelves, stringers, back and end plates are formed of heavy ga. steel to provide lifetime performance. 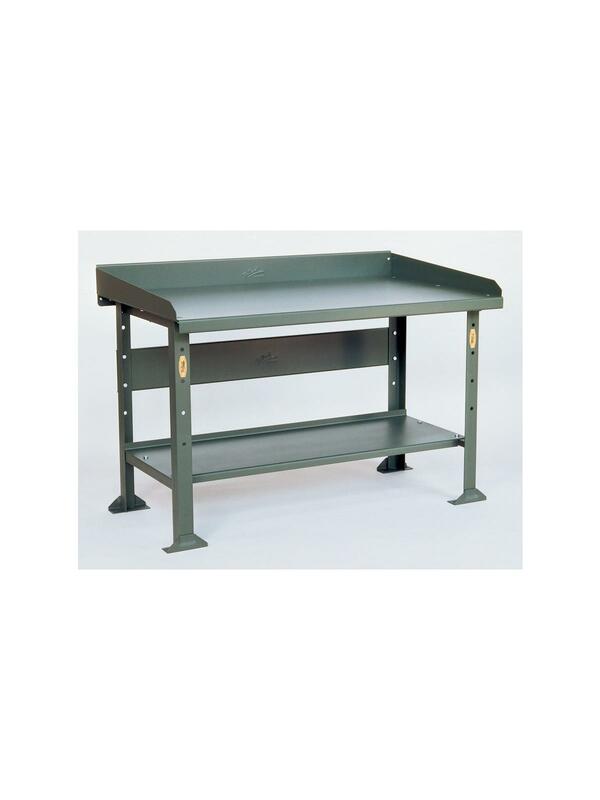 An optional bench drawer is also available with standard padlock attachment bar or cylinder lock -- drawer measures 14" x 22" x 6". FOB Shipping Point. See Related Items tab for Pollard Work Bench Accessories.